← Brownies! or What to make when you have cute straws. Housekeeping tips: Cleaning wonders you can do just in 15 min! I am a mother of two kids and I have a house to keep. I have to confess to you: housekeeping is a dull work for me. Plus, I am a working mom. I work from home and this means I always get torn between working and housekeeping. I hope, you never have such a mess in your kitchen. But, at times I get that in mine. That’s a monster I need lots of magic to deal away with! Only to make things worse: I do my dishes by hand. I do not have a dish washing maching. And, I do not have hot water in my kitchen. 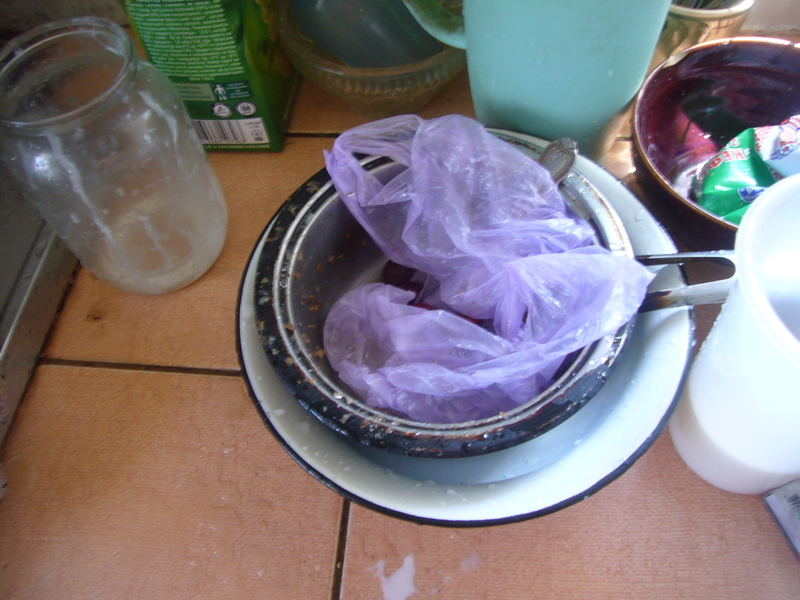 So, what I have to do is to heat up a pot of water, wash dishes in a bowl and then rinse them under cold running water. But you know what, there is no mess in your house you cannot clean in 15 min! Of course, you do not believe me now. But that is true. Only this 15 min work has to be done day after day. 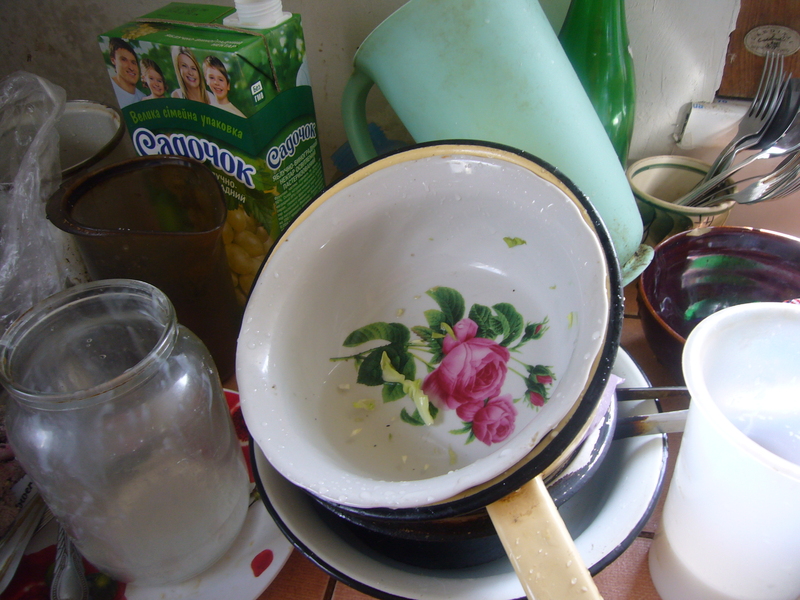 The reason I have such a huge pile of dirty dishes in my kitchen is because I missed one day. 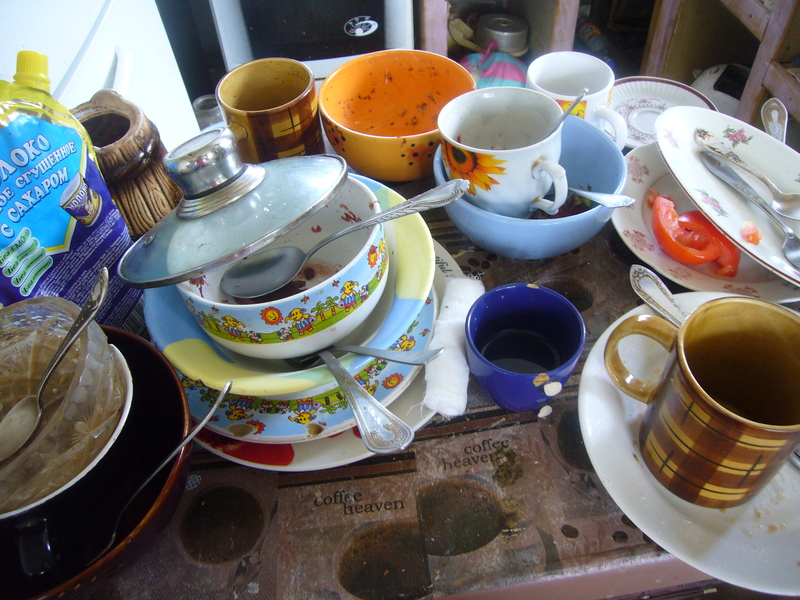 So, today I had to spend 30 min on the dishes. And, you know what? I did it. Just in 30 min with no hot water and dish washer I got done most of the dirty dishes you see on the pictures. To prove that cleaning success I have more picture to offer to your attention. 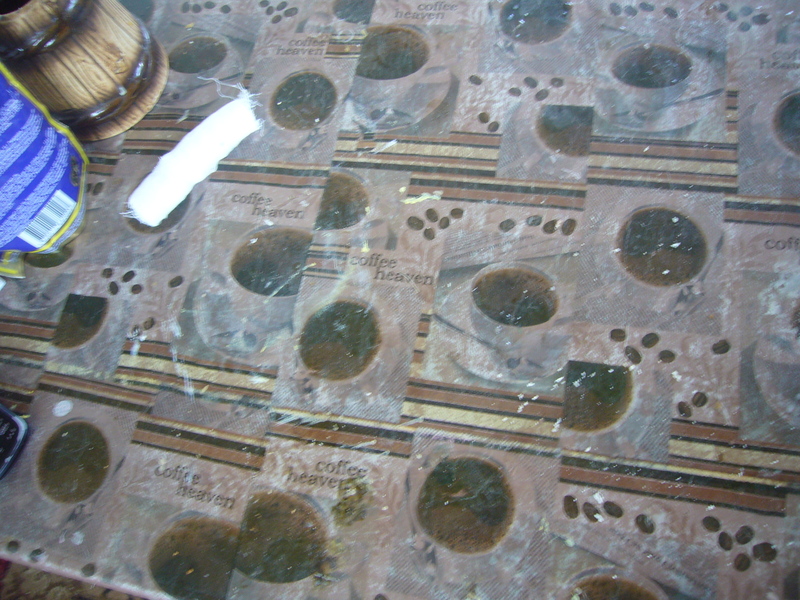 Those are the same table that were piled up with dirty dishes just 30 min ago. Yes, I still have few to go, but it’s already much cleaner than it used to be! So, you see, the main tip in keeping your house clean is working just 15 min a day on each room or area of your house. 15 min of daily cleaning can do miracles. I have learned it from the flylady book and I am very grateful for this knowledge. It works like a house cleaning magic for a desperate housekeeper! I hope it would help you to start enjoying your life in a clean and shining home. You deserve it! This entry was posted in Tips On Clean House and tagged clean house, dish washing, flylady, house cleaning tips, housekeeping, mom help, tips for moms. Bookmark the permalink. That is what I used to do. Once I got almost depressed about cleaning my bed room, but after all it took me only 11 MIN to get it look much tidier! Thanks for writing this! I really had good time looking over this. I’ll also implement this and I hope I can also clean my room in 15 minutes by applying your tips.